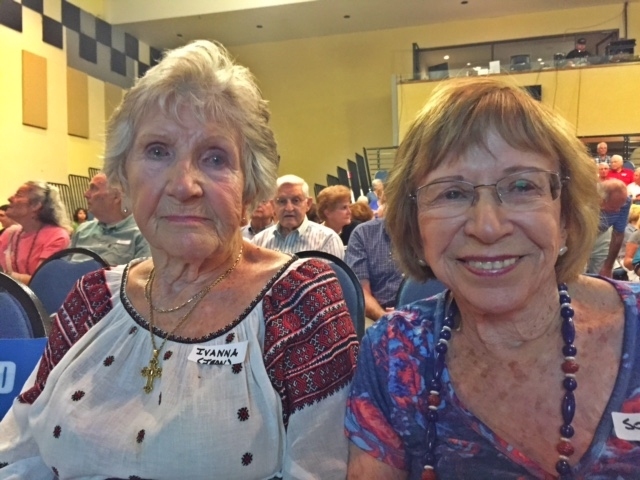 Sonia, with Ivanna Holowaty, at a program on the Ravensbrück Archives at the Jewish Federation of Sarasota-Manatee on June 30, 2015. Ivanna, who is not Jewish, is a Ukrainian woman who, at the age of seventeen, was imprisoned, along with her parents, after the Nazis occupied Ukraine. Ivanna and her mother were sent to Ravensbrück, the concentration camp for women and children fifty-six miles north of Berlin. Her father, who was fifty-eight at the time, was sent to another camp, where he died three months later due to the hard labor he was required to perform. The family was arrested for political reasons as they opposed the Nazi occupation. Ivanna remained at Ravensbrück for about a year until the Russians liberated the camp. She lives in Venice, FL. 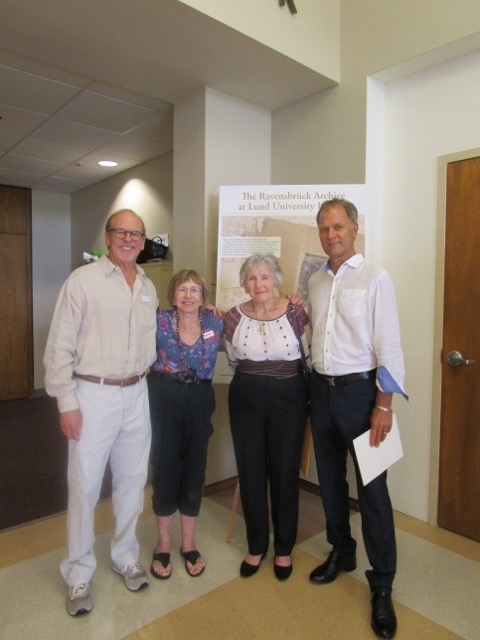 Sonia at the June 30, 2015, program on the Ravensbrück Archive at the Jewish Federation of Sarasota/Manatee. From left to right: Robert Resnick, member of the board of trustees, Lund University Foundation; Sonia; Ivanna Holowaty, a non-Jewish Ukrainian woman who was interned at Ravensbrück; and Richard Ohlsson, member of the advisory board, Lund University Foundation.